In April 2007 two dynamic female entrepreneurs decided to join forces to take the property service industry to a new level. Combining twenty five years of property experience, they launched a bespoke property company covering North West London. As the company developed, they brought on board experienced and motivated professionals with a wealth of diverse property knowledge to offer a full range of made-to-measure services across the property spectrum; thereby providing a “one stop property shop” for their clients. As our ethos being to look after all our customers as we would wish to be treated ourselves, we have become well known for our personalised approach. The entire team strives towards this work ethic; nurturing long term relationships with clients through a variety of bespoke services. Honest advice, not supposition, being key. With the focus being on service and long term strategic planning for the client, we are committed to helping explore and facilitate property solutions through property sourcing/ sale/ rent/ management/ rejuvenation/ refurbishment and portfolio handling. We nurture and develop relationships with vendor/ purchaser/ landlord and tenant alike. 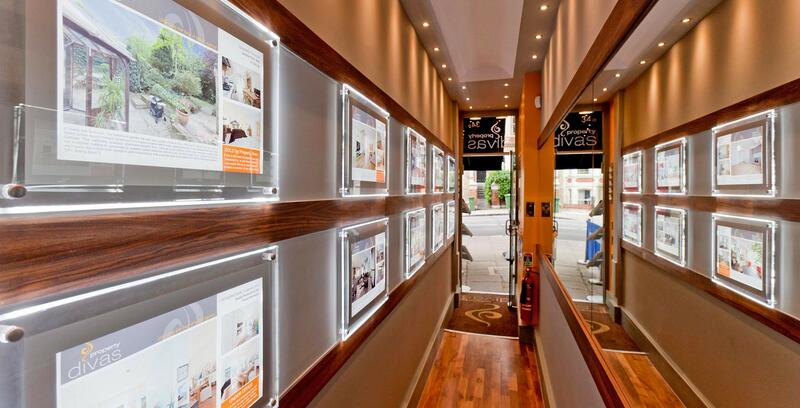 "Property Divas Is an excellent estate agency, well-managed and forward thinking." "This is the best team of agents I have ever worked with over the last 10 years and I would not change." "All the staff are Property Divas are super- efficient and most helpful and we would recommend their services to anyone." "First class service have confidence that my tenants are managed well"
"I have worked with Property Divas for many years and have always been impressed with their supreme professionalism and integrity." "As an overseas landlord the exceptional service and attention I receive allows me to retain an investment with peace of mind." "I have worked with Property Divas for many, many years and have always enjoyed extremely efficient and reliable service. Highly recommended." "Fantastic customer service, highly knowledgeable of their market, would highly recommend them." "An extremely professional agent. Highly recommended"
"The best, as I've worked with many in my area." "Divas have made my life much easier and ensured that even in difficult markets the property has not experienced any voids. Excellent agent." "You can’t go wrong with Sharron and her team, their service is impeccable in every sense, which is crucial for an overseas landlord."